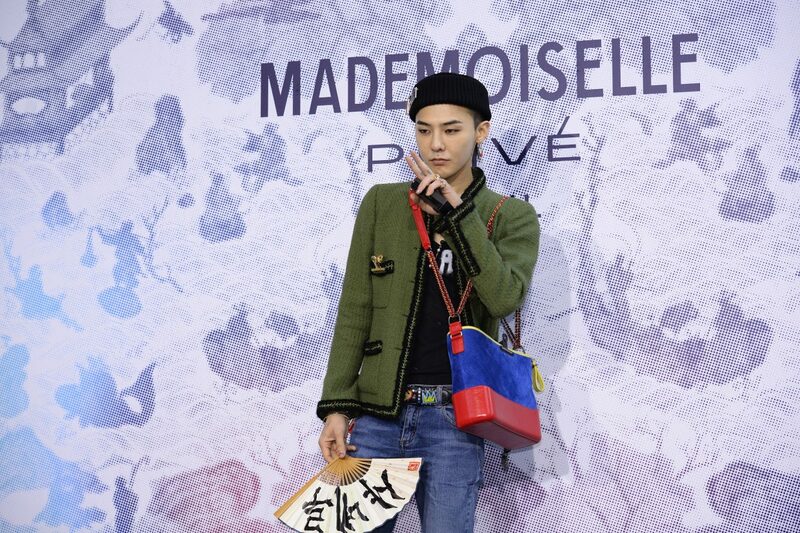 At most Chanel events, the brand’s Asia ambassador, G-dragon is a front row fixture for good reason. Last year, the K-pop star was ranked third most influential star in China by Sina Entertainment, according to his Weibo search analytics and other factors. When you are standing on a street full of boutiques featuring the latest South Korean streetwear, along with cosmetics storefronts touting posters of Kpop stars like Yoona from Girls Generation for brands like Innisfree, Too Cool for School, and The Face Shop; Nanjing Road East, a bustling tourism and shopping area in Huangpu district, Shanghai, feels more like South Korea than a historic city in China. Elsewhere in cities like Chengdu, Beijing, Guangzhou, and Shenzhen, visitors will find more or less the same trends. The significance of South Korea’s influence on fashion and lifestyle trends across China is undeniable. Despite being one of the smaller nations on the continent with a population of just 51 million against China’s 1.379 billion, South Korea is having a major moment-turned-decade as the de facto cultural influencer and lifestyle trendsetter in the region. The “K-wave” (Korean wave) phenomenon spurred by the popularity and rise of Korean entertainment like K-pop music and K-dramas and the Korean fashion and beauty trends that inform the K-beauty and K-fashion movements are seemingly everywhere on Chinese social media and broadcast platforms like iQiyi these days. Together Korea’s “K”-spheres of influence have helped the country become a major cultural influencer — especially in China where K-pop celebrities, K-fashion and K-beauty reign. “The Korean straight eyebrows, snow-white skin, two-toned lip color, coral eyeshadow and cheek color is a standard look now in China,” said Bettina Ding, a consultant at Cherry Blossoms, a marketing research firm which specializes in China luxury trends. Luxury brands have also taken notice, and have been seeking to harness “brand Korea’s” marketing prowess in several ways. During the airing of the hit K-drama “My Love From Another Star,” actress Jun Ji-hyun was spotted wearing Yves Saint Lauren’s Rouge Pur Couture lipstick #52. The item quickly sold out, not just in China, but worldwide in cities like Paris and New York. The same drama was also responsible for the clearance of Jimmy Choo’s “Abel” pumps from shelves in China, after an episode with Jun wearing them aired. At most Chanel events, the brand’s Asia ambassador, Gdragon is a front row fixture for good reason. From t-shirts to Nike running shoes, most items the rapper and singer is seen in tend to sell out. Last year, the K-pop star was ranked third most influential star in China by Sina Entertainment, according to his Weibo search analytics and other factors. Another example is when crossover Kpop star and Chinese celebrity Luhan became the new ambassador for L’Occitane earlier this year. The brand’s latest set of travel pack hand creams rapidly sold out online in China. But brand ambassadorship and celebrity marketing are not the only ways that luxury brands have sought to tap into the lucrative hype of the K-wave. Much of South Korea’s influence is also reflected in Chinese tourism, as well as recent consumption trends. Last year, 8.06 million Chinese tourists accounted for over 46 percent of the 17.2 million visitors to South Korea, according to the Korea Tourism Organization. The average Chinese tourist spent six times more than Japanese visitors in 2016, according to research conducted by the Seoul city government’s Seoul Institute. The same survey stated Chinese tourists spent on average $2,100 per person. Alongside Korean cultural exports, Korean skincare and makeup were also among Korea’s popular goods shipped to China; Korean cosmetics exports experienced $3.97 billion in sales last year, a figure that has doubled since 2014 according to the Korea International Trade Association. Shop operators in China, like LG Household & Healthcare, the parent company of beauty brands including The Face Shop and Beyond, also experienced rising net profits of $532 million in 2016. This year, however, South Korea is anticipated to see a deficit of $15 billion due to the decline in Chinese tourism and retail sales. China’s disapproval of South Korea’s deployment of Terminal High Altitude Area Defense (THAAD) anti-ballistic missile system resulted in political tension, as well as an unofficial ban on the sale of travel packages and Korean cultural exports. While many Korean industries have experienced a difficult year due to the bans, experts believe the hard times will soon be over. Since early November, both governments has indicated that relations are thawing; insiders say Chinese tourism and consumption in Korea is expected to return to normal by February 2018 according to Yonhap News. Luxury firms and conglomerates are also buying their way into Korean and Korean-influenced brands directly, in order to gain better foothold and entry markets like China, where anything related “K”-branded has vast potential to succeed. In 2014, along with more recent investors like Chinese social media giant Tencent and technology firm Weiying, L Catterton Asia (formerly L Capital Asia), a firm formed through a partnership between LVMH, Groupe Arnault and Catterton, invested $80 million into YG Entertainment, the South Korean firm behind popular Kpop acts like Psy and rapper CL. Most recently, L Catterton Asia, also agreed to invest $53 million into South Korean luxury eyewear brand Gentle Monster according to the Korea Herald. The brand is hugely successful in China, having earned $250 million in revenue, 70 percent of which came from direct sales, according to the Business of Fashion. In late 2015, Estee Lauder bought a 33.3 percent share of Have & Be Co., the parent company of popular skincare brand Dr. Jart+. The actual sum of the investment was undisclosed, however, Dr. Jart+ is quickly expanding its way into China, with plans to set up 10 new shops in the country by the end of this year. Last year, L Catterton Asia also became a minority shareholder in South Korean cosmetics firm CLIO with a 7 percent stake following an investment of $50 million, according to Reuters. Unilever is another conglomerate aiming to gain traction in China by harnessing the potential and the selling power of brand Korea. The conglomerate recently acquired Carver Korea, the parent company of Korean cosmetics firm A.H.C. from Goldman Sachs and Bain Capital Private Equity for a record $2.7 billion in September. “Unilever has been losing the market share in China since 2004. Back [then,] they had a market share of 4.4 percent but now it’s less than 3 percent. By acquiring that brand but they are trying to gain more shares in China,” said Soomin Kang, a retail analyst specializing in the cosmetics sector at Cape Investment & Securities. While Unilever is not a traditional luxury brand, experts believe the firm has plans to position A.H.C. as a premium brand in China. For instance, rather than having Korean entertainer front their campaign like most brands, A.H.C. hired American actress Anne Hathaway to be their face. The brand’s unique positioning with a Western ambassador, plus its higher price points hint at A.H.C’s aspirations to become a luxury brand. Under this strategy, A.H.C. became the best-selling cosmetics brand on Tmall during Singles’ Day last week when sales rose by 240 percent, according to Yonhap News. The brand previously experienced a 174 percent jump in annual sales from 156.5 billion ($144.5 million) won in 2015, to 429.5 billion won in 2016. “In terms of skincare products, Korean brands are much more popular than Estee Lauder, L’oreal, and Chanel in China,” said Soomin Kang. “It’s because they’re much more focused on skincare,” she said adding that Western brands are better for makeup in due the variety of color palettes. Experts say Western skincare products are no longer as popular among Chinese consumers; search volumes of Western brands on Baidu declined in 2016, “a major indication of waning interest,” according to brand research firm L2. While Asian brands including Korean skincare products have been mentioned in a growing number of consumer conversations on Sina Weibo.